Fujifilm Professional has unveiled Shoot & Scan, a new promotion that gives photographers discounts on processing and scanning at professional laboratories across the UK. Shoot & Scan is designed to help photographers who want the unsurpassed image quality that film provides, combined with the versatility of digital files. A discount of 25% is available when any Fujifilm Professional 35mm or 120 roll film is processed and scanned on the standard service offered by each individual participating laboratory. The offer includes standard processing of C41, E6 or Black & White 35mm or 120 roll film with jpeg files scanned onto CD at approximately 6.4MB. The promotion is open to all photographers - professional, amateur and student, and runs until April 1st 2006. Shoot & Scan is also being promoted to the 250 UK Colleges and Universities that have been invited to take part in the 2006 Fujifilm Student Awards. One of the aims of the promotion is to help pro labs gain new business and to establish new relationships between pro labs and future professional photographers. 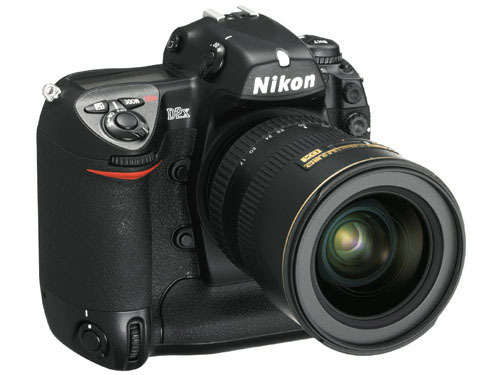 Nikon Imaging has put up a new page showing the advantages of VR II. LaCie introduces a playful new set of stackable hard drives in vibrant white, red and blue colors: the LaCie Brick Desktop Edition (3.5" from 160-500GB) and Mobile Edition (2.5" from 40-120GB). For this unique range, LaCie teamed up with renowned designer Ora-Ito to create colorful building block-shaped hard drives, making everyday storage and backup not only functional, but fun. LaCie Bricks are hard drives even children can appreciate. Designer Ora-Ito took one of his favorite childhood objects and created a hybrid hard drive that doubles as desk art. He chose primary white, red and blue colors to add vibrancy to everyday desktops. LaCie Bricks offer nearly effortless setup, and are ready to use seconds after removing from the box. They're built to fit large amounts of music, photo, video and office files. Ora-Ito says, "Why should data storage be boring? Add color to your desktop with LaCie Bricks!" LaCie Bricks can be used on a PC or Mac and come with free backup software. LaCie Brick Desktop Editions are equipped with a Hi-Speed USB 2.0 interface and come all necessary power adapters. LaCie Brick Mobile Editions are bus-powered and are available with either a Hi-Speed USB 2.0-only interface, or dual FireWire 400 and USB 2.0 interfaces. LaCie Brick Desktop Edition 300GB and 500GB include an automatic thermo-regulated smart fan that changes airflow based on need. Lower capacity models are fanless for near-silent operation. "LaCie has always pushed the boundaries of timeless hard drive design and performance. This new unique Brick range shows our playful side," says Olivier Mirloup, LaCie Senior Product Manager. "Now storage is as fun as a child's game with bright, primary hues that add color to your digital life." LaCie Brick hard drives are available for pre-order today at the LaCie Store online (https://www.lacie.com/shop) and will be widely available through LaCie's specialized dealer network end of December 2005 at the suggested retail prices below. LaCie Bricks ship with LaCie One Click Backup Software for PC/Mac, and LaCie Silverlining and SilverKeeper drive management and advanced backup utilities for Macs. Detailed product information can be found at www.lacie.com. New York, NY DxO Labs announced today that DxO Optics Pro v3.5 Digital SLR and lens automatic image quality enhancement software is available for download at the company's e-store (https://store.dxo.com) and via selected resellers. DxO Optics Pro v3.5 incorporates DxO Optics Engine v2, a more powerful edition of DxO Labs' award-winning optical correction engine extending the software's capabilities for automatically removing unwanted color fringes including "purple fringing"; preserving greater image detail through improvements to DxOÃ¢â‚¬â„¢s Lens Softness removal capabilities; as well as preserving up to 40% more image area when eliminating geometric distortion. Other improvements include an enhanced user interface as well as dramatically increased batch processing speed (by up to 100%) on multi-processor computers. "The quality of the corrections and the final results look better than ever with this new version," said Luc Marin, vice president of the Photography Business Unit at DxO Labs. DxO Optics Pro v3.5 Elite Edition now also supports the new, full-frame, Canon EOS 5D and an initial selection of lenses. Upgrading to DxO Optics Pro v3.5 is free for registered users of DxO Optics Pro v3.0 Standard or Elite editions. Users of DxO Optics Pro v3.5 continue to benefit from unrestricted access to all DxO Lens Modules for a given set of supported camera bodies. DxO Optics Pro v3.5 is available on both Windows (2000 and XP) and Macintosh (OS X 10.3 and above). Quoted prices in U.S. dollars and Euros are excluding VAT/Sales Tax. Prices in British pounds are inclusive of 17.5% VAT. Full System requirements can be found on https://www.dxo.com. DxO Labs is a software company developing image generation and enhancement technologies. We provide reliable off-the-shelf solutions for serious amateurs and professional photographers, photography journalists and experts as well as companies in the imaging business such as digital camera or cameraphone vendors, mobile operators, and printing or photofinishing professionals. The company's patented DxO technologies, the DxO Technology Foundations, are the result of state-of-the-art academic mathematical research. The DxO Technology Foundations comprise a set of software components to generate images or correct major imaging defects, such as color, contrast, blur, various optics faults, JPEG artifacts, etc. For more information, visit DxO Labs online at https://www.dxo.com. 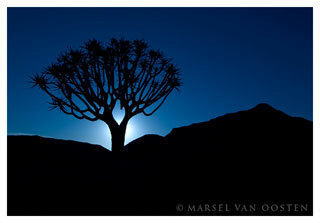 Our congratulations go out to Nikonians Member Marsel van Oosten. 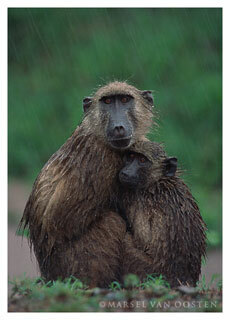 He has recently been announced as a finalist in the National Wildlife Federation's 2005 Photo Contest. In addition, two of Marsel's photos "Downpour" and "Backlit Quiver" will be featured in NWF's 2006 Calendar. Congratulations Marsel! Fantasea Press Release Fantasea Line, distributor of the world's most popular and affordable underwater photographic products, announces the release of the FD-50 waterproof camera housing for the Digital SLR Nikon D-50. The Fantasea FD-50 is a compact, lightweight, injection molded polycarbonate housing with ergonomically designed handles, making it easy to hold and use. The FD-50's interchangeable port system accommodates a wide variety of SLR lenses, allowing photographers to capture the widest variety of superior underwater images. The Fantasea FD-50 is more than just an underwater camera housing since it provides protection for the D-50 against damage from rain, snow, dust, sand and dirt. It is a valuable tool for many commercial, industrial, and medical applications, because it is resistant to most liquids and sprays. The FD-50 housing features a unique o-ring and gasket seal and is rated to a depth of 200 feet (60m). The D-50 "slides" into the FD-50 housing on a specially designed tray. Once inside the housing the latching buckles on the back door are snapped shut sealing the system with a sound watertight seal. That includes standard port (18-70 mm zoom lens) and pre-paid flood insurance policy from D.E.P.P. for one year. OTTAWA(BUSINESS WIRE) Nov. 22, 2005 Corel Corporation today announced a major enhancement to its popular photo management system, Corel(R) Photo Album(TM) 6, that will enable consumers to easily work with digital camera raw file formats. With support for more than 40 digital camera raw file formats, Corel Photo Album 6 enables photographers to easily open, enhance, process and convert images into the highest quality photos. Functioning as a digital negative, digital camera raw file formats are gaining popularity among photo enthusiasts and professional photographers who want to preserve their digital image's authenticity. As consumers are seeking more and more ways to produce higher quality photos, they are discovering that the digital camera raw file format provides them with greater detail, true-to-life color and increased control over their image data. Now with Corel Photo Album 6 joining Corel(R) Paint Shop Pro(R) X in support of digital camera raw file formats, photographers have an easy-to-use platform for downloading, organizing, sharing, editing and protecting this valuable photo format. 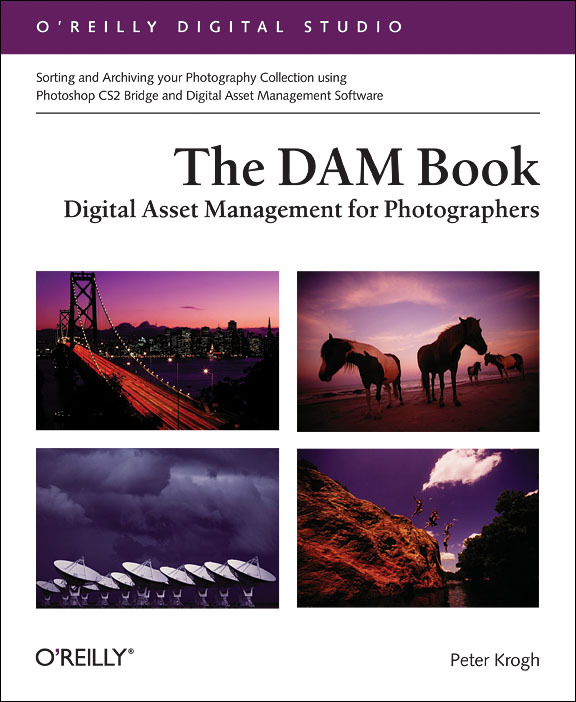 "As the digital photography market evolves, photo enthusiasts and professional photographers are seeking more sophisticated ways to maximize the richness and detail inherent in the photos they take," said Blaine Mathieu, General Manager, Digital Imaging at Corel. "By offering our customers digital camera raw file support, we are enabling them to have more control over the photos they take and more choices in how they use Photo Album to manage, store and produce high quality images." Corel Photo Album 6 - Deluxe Edition is available for a suggested retail price of $49 US and is available from major retailers and resellers across North America including Amazon, PC Mall, Dell.com, Atomic Park, STAPLES Business Depot, Office Depot, CDW, PC Connection, SHI and Software Spectrum. Existing Corel Photo Album 6 users can download the digital camera raw file format update at www.corel.com. Corel Corporation provides innovative software solutions that help millions of value-conscious businesses and consumers in over 75 countries improve their productivity. The Company is renowned for its powerful software portfolio that combines innovative photo editing and graphics creation, vector illustration and technical-graphics applications along with office and personal productivity solutions. Corel's flagship products include the CorelDRAW(R) Graphics Suite, the WordPerfect(R) Office Suite, the Corel(R) Painter(TM) Natural-Media(R) painting and illustration software and the Paint Shop(TM) Family of digital photography and image editing software. Founded in 1985, Corel is headquartered in Ottawa, Canada. For more information, please visit www.corel.com. (C)2005 Corel Corporation. All rights reserved. Corel, CorelDRAW, Natural-Media, Painter, Paint Shop, Paint Shop Pro, Photo Album, WordPerfect and the Corel logo are trademarks or registered trademarks of Corel Corporation and/or its subsidiaries. All other product, font and company names and logos are trademarks or registered trademarks of their respective companies. Adobe has released a 1.03 update to it's Bridge software component. No readme, but the manufacturer comments "improved product reliability." The update is available in both Mac and Windows versions. FREMONT, Ca., November 21, 2005 Lexar Media, Inc. (Nasdaq: LEXR), a world leader in advanced digital media technologies today announced that its LockTight(TM) technology will be supported in the Nikon D200 creating an ideal solution for photographers who want to fully utilize the advanced feature set in this new camera, including security functionality and burst mode shooting. Lexar Professional LockTight CompactFlash is a unique security technology that allows photographers and organizations to control access to information stored on the userÃ¢â‚¬â„¢s memory cards. 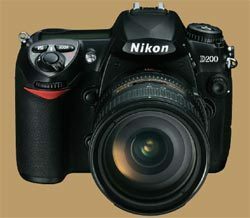 Following full support in the Nikon D2X and D2Hs digital SLR cameras, the new Nikon D200 is the most affordable digital camera that includes built-in LockTight functionality. "Security and controlling access to digital images continues to be a critical feature for vertical markets such as law enforcement, insurance, medicine or government. With LockTight, Lexar is offering a unique secure digital imaging solution for these markets," said John Omvik, director of professional product marketing, Lexar. "With the introduction of the D200, photographers and organizations in these markets now have three different Nikon cameras to choose from with varying feature sets and price points," he added. Beyond security, the Lexar Professional CompactFlash with LockTight delivers a minimum sustained write speed capability of 80X, enough to take advantage of the D200Ã¢â‚¬â„¢s burst mode of 5 frames per second, without delays in writing the data to the memory card (Lexar defines "X" within its speed-rating system as equivalent to a minimum write speed capability of 150 kilobytes per second). Any Lexar Professional CompactFlash card used with a Nikon D200 digital SLR camera is the ideal combination for shooting at weddings, sporting events or any venue where missing the perfect image is not an option. "The comprehensive feature set of the D200Ã¢â‚¬â€œincluding the unique LockTight compatibility and functionalityÃ¢â‚¬â€œwill appeal to many professionals around the world," said Kazuyuki Kazami, General Manager of Marketing, Nikon Corporation. "Among the D200's target customer base are organizations that have a real need to protect their content, demonstrate a chain of evidence and restrict access to confidential or sensitive image data. LexarÃ¢â‚¬â„¢s LockTight system offers us a unique way to address these requirements from our vertical market customers," he added. The combination of Lexar Professional CompactFlash with LockTight and LexarÃ¢â‚¬â„¢s custom LockTight software creates a security solution ideal for photographers in fields such as forensic photography, scientific research, military and law enforcement. When used in conjunction with a camera that supports the LockTight system, access to the digital content stored on a LockTight card is restricted to authorized users and authorized cameras through card level, 160 bit authentication. Once the card has been registered to users and cameras, it will only work in those specific cameras and can only be accessed on a PC or MAC by those users with the login information established by the system administrator. A Lexar Professional CompactFlash Reader completes the security solution, as only the userÃ¢â‚¬â„¢s registered cameras and Professional CompactFlash Readers can recognize a secured LockTight card. LockTight cards that are not secured operate as normal cards. When used in conjunction with a camera that supports the LockTight system, LockTight CompactFlash employs a unique strategy to protect data, and, as a result, LockTight cards are always "locked." A computer or camera cannot read or write data to/from a LockTight card until a critical authorization process takes place between the LockTight card and the host computer or host camera. This authorization process is where the 160-bit HMAC SHA-1 hash algorithm is employed. Lexar Professional LockTight CompactFlash cards are currently available at photo-specialty stores and through key market value added resellers in capacities of 512MB and 2GB. More information on LexarÃ¢â‚¬â„¢s professional products can be found at https://www.lexar.com/dp. Lexar is a leading marketer and manufacturer of NAND flash memory products including memory cards, USB flash drives, card readers and ATA controller technology for the digital photography, consumer electronics, industrial and communications markets. The company holds over 90 issued or allowed controller and system patents, and licenses its technology to companies including Olympus Corporation, Samsung Electronics Co., Ltd., SanDisk Corporation and Sony Corporation. Lexar sells its memory cards worldwide and through an exclusive agreement, also sells memory cards under the Kodak brand. Headquartered in Fremont, California, Lexar has operations in countries around the world. More information is available at https://www.lexar.com. This release contains forward-looking statements, which are subject to the safe harbor provisions of the Private Litigation Reform Act of 1995. These statements include statements related to the digital photography market, the benefits and availability of, and consumer demand for, Lexar's products, including LockTight Compactflash, and the growth opportunities available to Lexar. These forward-looking statements involve risks and uncertainties that could cause our actual results to differ materially from those anticipated by these forward-looking statements. These risks include that the growth and success of our business depends on our ability to achieve and maintain technology leadership, and develop, sell and market products that are commercially accepted. Readers should also refer to the risk factors described in our filings with the SEC, including our most recently filed Form 10-K and Form 10-Q. We assume no obligation to update the information in this release. PMA, Jackson, Mich., USA, announces support for a counterfeit lithium-ion battery pack awareness and warning initiative led by the Camera & Imaging Products Association (CIPA), Tokyo, Japan. CIPA is an international association founded in 2002 to address problems related to digital and film cameras and associated products. * Advertisement in brochures and on posters by the overseas office of the CIPA Counterfeit Battery Pack Response Workgroup, comprised of 10 member companies. * Advertisement in Chinese government-controlled magazine. * Advertisement in Chinese digital camera and personal computer related magazines. The CIPA brochure, "Notice Regarding Counterfeit Lithium-ion Battery Packs," says it has recently been confirmed counterfeit lithium-ion battery packs made to look like genuine brand products are on the market. Incidents in which battery packs have exploded have also been reported, and are thought to be related to counterfeits. The brochure warns counterfeit battery packs are often of inferior quality, without protective mechanisms and control circuits that meet regular quality standards. Using these counterfeit battery packs could cause camera malfunctions, overheating, leaking, fires, and even explosions, says the brochure. An online version of the brochure, "Notice Regarding Counterfeit Lithium-ion Battery Packs," can be accessed in English here, in Chinese here, and in Japanese here. Japan Electronics and Information Technology Industries Association (JEITA), Battery Association of Japan (BAJ), JETRO Beijing, and JETRO Shanghai also support the CIPA counterfeit battery pack awareness and warning initiative. PDN's David Schloss spends a day with Apple looking over the new Aperture RAW Workflow solution. While not a complete hands-on review, Schloss details some interesting points about the new program that separates the hype from the reality. Fountain Valley, CA *November 17, 2005* Kingston Technology Company, Inc., the independent world leader in memory products, today announced the release of its new Kingston 15-in-1 Hi-Speed Reader. Designed to support 15 popular types of Digital Memory cards using four media ports, this USB 2.0 Hi-Speed reader delivers up to 480 Mbps data transfer rates for high-resolution images, data and more. KingstonÃ¢â‚¬â„¢s 15-in-1 Reader installs quickly and easily with its plug-and-play design and is backward compatible with USB 1.1 specification standards. It is the essential reader to suit faster speed cards currently offered in the market, including Kingston's SD Ultimate memory card with 133x write speed. 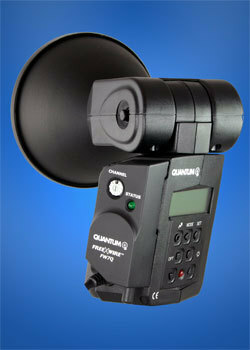 Quantum's new "QTTL(TM)" system links Qflash 5d series flashes to digital and film cameras wirelessly. Get wireless TTL for Canon, Nikon, Olympus, Hasselblad, Mamiya, and Contax cameras. Quantum's QTTL(TM) Adapters with a FreeXWire FW9T Transmitter will send commands to one or more remote FreeXWire receivers connected to Qflashes. Full dedication - Connect a Qflash 5d to a camera using a Dw series QTTL Adapter and make Qflash a powerful, fully dedicated flash that mimics the features of camera manufacturers' flashes. Wireless TTL with Fill-flash - When teamed with a FreeXWire system, Qflash receives your camera's TTL exposure commands wirelessly. Wireless fill-flash offsets are set on the D and Dw series QTTL adapters, or on the camera. Wireless Linked Auto with Qflash Ratios - Set up an on-camera Qflash and one or two remote Qflashes with FreeXWires. Control the ratios of the remote Qflashes wirelessly from the panel of the on-camera Qflash. All Qflashes track the f-stop of the camera as you change it. The following D and Dw adapters transfer camera TTL exposure for wireless transmission by FW9T, FW7Q, FW8R and updated FW10w Transceivers: D10w- Olympus; D12w- Nikon, Fuji, Kodak; D13w- Canon; D19w- Hasselblad; D24- Contax; D25- Mamiya. Receiver FW7Q *totally cordless* Team up a FW7Q Receiver with a FW9T Digital Transmitter. FW7Q mounts flush to Qflash 4d or 5d. Mount an FW9T Transmitter and FW12 Hot Shoe Adapter to the camera hot shoe to be totally wireless. Or, add a D or Dw series QTTL adapter to the camera and transmit your camera's f/stop, ISO, and TTL exposure information to the remote Qflash 5d. Receiver FW8R - Use this receiver with any shoe, handle mount flash or Qflash as a wireless flash sync. When connected to a Qflash (with an FW31 accessory cable) camera TTL information is relayed wirelessly. Slide the Shutter MD Delay switch to the MD position, connect a Shutter Release (Motor Drive) Cord from the Receiver FW8R to the camera shutter release connection activate a camera shutter up to 1000ft. away. Transmitter FW9T *Simple Operation* Match up the FW9T with a FW7Q, FW8R or an upgraded FW10w Transceiver. You can set up sets of FreeXWire units to work together on the same channel, or separate groups of FreeXWires to work in independent channels. Each channel has an additional four "Zones" that can be activated in 15 possible combinations. Status LED confirms units are on, battery condition, and system working properly. Other specifications are similar to the ones indicated for Qflash 4d and FreeXWire FW10 in the full Quantum product brochure, or at www.qtm.com. We are looking for the best, coolest logo for our new search engine NikoScope.com. Participate and create a logo for our search engine NikoScope.com. The best three proposals will receive vouchers worth $75, $50 and $25 in our Pro Shop. Winning logo will be located at the NikoScope site and all proposals will make it onto a separate logo page in the community. Send your proposal and your username to our contest mailbox. All entries must be received by December 20th, 2005. Pixmantec has unveiled their latest creation - RawShooter Color Engine; a color profiling plug-in designed for use with RawShooter Premium. Unlike other color profiling systems, this program is designed specifically to certain DSLR makes. 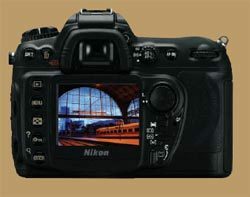 Nikonians will be pleased to know that the plug-in supports all Nikon DSLR models with the exception of the D1/H/X series. If you are a Nikonians Gold or Platinum member, we offer you free shipping of your orders made between November 15th and December 15th. If you are not a Gold or Platinum member yet, visit our membership info page. Sigma has updated their venerable 135-400mm/4.5-5.6 telephoto zoom lens to DG standards. According to the manufacturer, "The new multi layer lens coating and lens design reduce flare and ghost, and also creates an optimum color balance and better picture quality through the entire zoom range." Adobe has posted the latest versions of Camera Raw 3.3 in Beta form. The plug-in is available in Windows and Macintosh versions. It seems even the New York Times is not immune to the phenomenon of Internet myths. In the article "A Betwixt and Between Nikon: 10.2 Megapixels for $1,700" by Ian Austen, the photo displayed is one of the many theoretical Photoshop composites that made the rounds prior to the actual release announcement of the camera. This gaffe also made it to the print version of the Times. Nikonians.org has offered it's verification and vetting services to the venerable publisher for any future Nikon hardware related articles. 8th November 2005 - Intemos, the same company that make DSLRClean, the revolutionary Digital SLR Sensor cleaning kit, have launched DigiCamClean - the only cleaning system specifically designed to clean small lenses such as those found in mobile phone cameras and digicams. DigiCamClean can be used to clean small lenses, viewfinders and any other small or hard to access optical surface. "It started with a discussion with mobile phone camera users," said Intemos managing director Andrew Stagg. "Users were finding that the lenses get dirty in pockets and bags and I even know people who have changed their mobile just to get a clean lens. It is a problem that I am also familiar with from my experience with compact cameras. Now, with DigiCamClean there is an effective way to clean even the tiniest lens." Developed utilising the same successful technology used in DSLRClean, the new DigiCamClean sticks use micropores to gently lift the dust off the surface of the lens. Simply sweep the tip across the surface and you instantly have a clean lens. Seculine's ZIGVIEW-R - the world's first TTL Motion Sensor shutter release, Interval & Exposure Timer, based on the original Zigview Digital Angle Finder. Building on the success of Seculine's Zigview Digital Angle Finder, the Zigview R incorporates a host of new features including a motion sensor trigger, a sophisticated interval timer and a Bulb exposure controller making it the ideal accessory for wildlife, nature and macro photography or any situation where a covert or accurately timed approach is required. Simply attach the Zigview-R digital angle finder to the viewfinder of your camera, frame the subject area as required on the TFT colour display and input the required shutter trigger settings using the on screen menu's. The motion sensor fires the shutter when movement is detected based on brightness levels in 9 areas of the viewfinder image. This innovative design allows the sensor area to be over any distance and with any area of view including the most extreme telephoto and wideangle lenses, with the sensitivity of each trigger being variable to allow movement in parts of the field of view. Zigview-R's interval timing facility can be set to fire the shutter over a period of up to 999 days with exposure intervals of between 1/2 second to 99 days allowing huge variations of possibilities. This can be combined, if required, with its timed "BULB" feature which can be accurately set over a wide range enabling photographers to repeatedly control long exposures. Both the Motion Sensing and Interval facilities can be started at the push of a button, on a countdown timer or at a specific time and date with almost limitless shutter applications. The Zigview-R can also be used as a Digital Angle Finder to display the image captured by its CMOS sensor through the viewfinder on the 2 inch TFT colour display. This is particularly useful when composing images in high & low angle situations where it is awkward or impossible to see through the viewfinder. ZIGVIEW-R will work with most digital and film SLR cameras which have an electronic shutter release socket. It is supplied with an eyepiece adapter for common Nikon and Canon cameras and a 2.5mm shutter release connector. Other eyepeice and camera connectors are available as accessories. The Seculine ZIGVIEW-R will be available from Photographic retailers from the end of November with a suggested retail price of GBP199.99 inc Vat. For further details please visit https://www.intro2020.co.uk and visit the Zigview pages, or call Intro2020 on 01628 674411. In the wake of Konica-Minolta's loss reports, Olympus has indicated that profits fell 68 percent from the previous year in the first half of 2005. Revenue was helped somewhat by strong sales in medical equipment, but Olympus' workforce did not escape unscathed; 4,000 jobs will be cut. Overall, the company's management has acknowledged that market saturation has made the compact digital market unprofitable. Olympus now seeks to make gains in the Digital SLR segment, but their plans are ambitious - to grow from a 3% sales level to 30% within 5 years. Digital Surveillance: One More Step To Big Brother? CNet has a great column on the both the practical and societal implications of shrinking imaging technology. TOKYO, Nov 10 (Reuters) Nikon Corp. said on Thursday it will raise its forecast for its global shipments of digital cameras in the business year to March from 7.6 million units it projected in May. A Nikon spokesman declined to give the new target but said it will be announced next Monday when the company reports its first-half results. Business daily Nihon Keizai reported that Nikon plans to raise digital camera shipments to about eight million units. The Nikon spokesman said that was the paper's own estimate. Last business year the company shipped 6.61 million digital cameras. Despite positive results throughout the first quarters of 2005, the german camera manufacturer Leica expects substantial layoffs in their german locations according to a company spokesman today. Nikonians own photography equipment insurance, dubbed NikSecure, is now available. We are currently taking pre-registrations for the insurance and the turn-around time for acceptance is approx three days right now. Covers both amateur and professional use. Covers all camera equipment and photography accessories. Covers travel and use in home. Worldwide coverage and your location does not matter. Covers breakage, damage, theft and loss. No deductible except on theft (250 USD). New equipment replaced first year. After that valuated at market price (depreciation according to current market price). Covers damages due to rain, water, moisture, snow, sand, storms. 5,000 US Dollars worth of equipment is 150 US Dollars in annual premium and it is possible to insure equipment worth up to 20,000 Dollars. Nikon's entry level DSLR continues to gain praises. The D50 kit just received the award for Best Value under USD750 on the DigitalCameraInfo List for 2006. Be sure to check out our D50 forums to learn more about this great camera! The PMA 2006 International Convention and Trade Show will be held Feb. 26 - March 1, 2006, in Orlando, Fla. Make sure to register for the convention by midnight, Monday, Dec. 5 and be automatically entered for a chance to win a Travel Package Giveaway, covering your trip to the convention. * Two adult round-trip airline tickets to Orlando, Florida (maximum value of $600). If airfare has already been booked for Orlando, attendees will be reimbursed for the value of the fare up to a maximum of $600. * A standard hotel room for five nights at the Caribe Royale Orlando Hotel, including PMA shuttle service to and from the Orange County Convention Center, West Building. * Four passes to Universal Orlando (two adult and two children). * Two adult and two children's Orlando T-shirts. A winner will be selected from all qualified pre-registrants. Full Trade Show Attendee Badge registrants only are eligible for this giveaway. PMA officers, staff, press, Single-Day Trade Show attendees, exhibitors and their families and employees are not eligible. Airfare and hotel booking must be used toward attendance at the PMA 2006 International Convention and Trade Show. Cypress Semiconductor announced on Monday the availability of commercial samples of it's new 9MP CMOS APS-C sized sensor. Cypress previously created the 14MP APS-C CCD that is found in Kodak Digital SLRs. The chip, along with other offerings, will be showcased at Vision 2005 in Stuttgart, Germany from November 8th through the 10th. -Autofocus performance has been increased. -An issue that prevented the AF-assist illuminator from firing when the Speedlights listed below were used has been corrected. SB-29S, SB-29, SB-23, SB-22S, SB-22, SB-20. -In images captured at a shutter speed of 1/250 s with a Speedlight SB-800, set to Distance-priority manual flash (GN), or Manual flash (M) with flash output set to full (M1/1) mounted on the camera, the top portion was often dark. This issue has been addressed. However, under the circumstances described above only, the guide number is reduced from that of full flash output level by approximately 0.6 EV. -Images captured at white-balance settings of Incandescent, Direct sunlight, Cloudy, Shade, and Choose color temp. tended to have a reddish tint. This issue has been addressed. -Errors in Dutch menus have been corrected. The firmware updates can be downloaded from Nikon Asia's website. Currently, neither Nikon Europe nor Nikon USA list these upgrades as available. In order to perform the upgrade, you will need a USB cable or memory card reader, a Compact Flash card (Microdrives are NOT supported), the AC adapter for your camera (or a fully-charged EN-EL4 battery), and the camera Guide to Digital Photography. Update: As of 10:30am EST today, the updates are available from Nikon USA's site. Nikon Inc. is asking your cooperation in connection with a voluntary recall of certain lot numbers of its Nikon Model EN-EL3 rechargeable lithium ion battery packs. The battery pack can experience a short circuit causing it to overheat and possibly melt, posing a potential hazard to consumers. There have only been four confirmed reports of incidents of the problem worldwide, and while no injuries have taken place, Nikon Inc. has initiated this recall of the affected lot numbers as a reflection of its commitment to safety and product quality. We are asking that owners of the affected battery packs return them to Nikon Inc. for a free replacement. To read the entire announcement, and for a list of the affected Lot #s, please go here. Nov.7 - Fresh from the momentum of the D200 announcement, Nikon announced today that they were revising their profit gains for the first half of 2005, citing cost cuts in stepper equipment manufacture and sales of digital cameras. Also, a more bullish forecast on year-end profit was made. Nikon's current first-half profit reached 320B Yen, beating estimates by about 7 percent. Aeveral stock analyst groups see an even larger opportunity for year-end profit despite Nikon's "overweight" rating. Kyodo - Nov. 4th 2005 - Konica-Minolta Holdings Inc. indicated that it will heavily cut it's photography imaging business, including it's burgeoning digital camera arm. Citing strong pressure from both domestic saturation and stiff competition, KM will cut ten percent of it's workforce; a figure of approximately 3,000 jobs. KM's earlier intentions were to focus it's business on developing and marketing digital SLR cameras, which is acknowledged to be the profit segment in the digicam business. That turnaround plan was estimated at the time to cost about USD 287 Million (34B Yen) over four years. Revised figures now put that plan at about USD 760 Million (90B Yen) for just fiscal year 2005 alone. Konica-Minolta now has revised it's year-end profitability; citing a loss of about USD 397 Million (47B Yen) by March of 2006. No dividends are expected to be paid out. In response to great demand, Ilford Photo, Paramus, N.J., USA, has reintroduced the Ilford Black-and-White Single-Use Camera. The easy-to-use Ilford Single-Use Camera offers the opportunity to take black-and-white images. It has a built-in flash effective up to 10 feet, an f/9Ã‚Â·5 30mm lens and a shutter speed of 1/100sec. It is focus free and gives sharp pictures starting from from 3 feet. A frame counter shows the number of pictures remaining, while safety interlocks prevent double exposures or blank frames. The camera is loaded with 27 exposures of Ilford HP5 Plus film, which is ideal for action shots, available light and all general-purpose photography, to ensure the best possible results. This fast (ISO 400/27 din) film captures every detail, and produces prints to treasure, as much for their artistic value as for the subject matter. When all 27 frames have been exposed, the complete camera can be taken to any traditional photo retailer or processing outlet for processing. For those able to process their own films, HP5 Plus is compatible with all major processing systems, including those which give the standard short fixing and washing times. Allsop Inc. - Bellingham, Wash., USA, a provider of CD/DVD cleaning and maintenance accessories, introduces a new Photo CD Maintenance line, specifically targeting the growing number of consumers now storing their memories as digital images. Clear View ensures lenses, LCD screens and other sensitive surfaces are kept clean. Designed like a pen, it features a retractable dust brush on one end and a micro fiber tip for cleaning LCD screens on the other. Clear View is also for cleaning cell phones, video cameras and other sensitive electronics. The unit, which comes with 10 replacement micro fiber tips, is available for a suggested retail price of $11.99. Clear View is available for immediate shipment. The Photo CD Scratch Repair Kit is for spot repair of scratches. Just a dollop of solution and a bit of rubbing will fix most blemishes. The Photo CD Scratch Repair Kit retails for a suggested price of $12.99, and will be available for shipment March 2006. Lint-free textured Photo CD Fast Wipes grab dirt, sweat and fingerprints and lift them off the CD. Photo CD Fast Wipes are available for a suggested retail price of $4.99 and will be available for shipment March 2006. The Digital Camera Cloth is a densely woven synthetic chamois, with a lint-free micro fiber textured surface. Washable for re-use, the Digital Camera Cloth retails for a suggested price of $4.99. It is available for immediate shipment. Allsop's Photo Disc Sleeves, made of acid-free, archival quality paper, help keep discs in order and protect them from scratches while storing. They are available for a suggested retail price of $9.99 for a package of 50 and are available for immediate shipment. Race Shooters: Give Them Your Best Shot! Action fans close to the Infineon Raceway in Sonoma, California, have an opportunity to win and become a track photographer for a day as well as publication of their image on the 2006 Program brochures. SONOMA, Calif. (IMMEDIATE RELEASE) - Don't miss the chance to demonstrate your photography skills with the InfineonRaceway.com Photo Contest. You could have your image posted on InfineonRaceway.com, and possibly win a chance to be a race photographer for a day during the 2006 Big O Tires Racing Season at Infineon Raceway. Beginning on Nov. 3, race fans are invited to submit images taken at any of the 2005 Infineon Raceway major events by visiting www.infineonraceway.com <https://www.infineonraceway.com/> . The raceway will post 10 images each day through Nov. 30, with all images accessible for viewing. Infineon Raceway officials will select an overall winner on Dec. 5, and the winning photographer will be treated to an Infineon Raceway prize pack that includes a one-day photo pass at one of the raceway's major events in 2006. The photo pass will allow you the same access as photographers from all of the major media outlets that cover Infineon Raceway. The prize pack will also include a cap, T-shirt, and the winning image will be published in one of the raceway's 2006 event programs. Submissions must be from any of Infineon Raceway's major events during the 2005 Big O Tires Racing Season, and images are not limited to racing action. Facility and fan images are also welcome. This contest is limited to amateur photographers, and only two images may be submitted per person. To submit your photos, visit www.infineonraceway.com <https://www.infineonraceway.com/> beginning Nov. 3 and click on the Photo Contest link on the homepage. Images can also be e-mailed to photos@infineonraceway.com. Please be sure to include your name, e-mail address, mailing address and phone number, as well as the event at which the image was taken. Images should be no larger than 6 x 4 inches at 300 dpi. Independent columnist and photographer Petteri Sulonen of Finland has posted a field report of the latest version of RawShooter from Pixmantec. Sharp Electronics has revealed their latest creation: the world's most compact 10MP CCD. With a form factor of 1/1.7" and 2.05 mu thickness, the chipset also features a sustained 25fps frame rate for video purposes. While this chip will most likely not find it's way into Coolpixes (due to the current alliance with Sony), it will be interesting to see how well it handles noise and what ISOs it will be rated for given it's pixel density. Sharp expects to begin shipping the sensor en masse in January 2006. Nikon has announced, along with its new D200 DSLR and 18-200 VR lens, a macro speedlight system for iTTL compatible SLRs, including the D2 series, D70, and D200. The macro speedlights can be purchased in either of two configurations or as separate components. The R1 system contains two wireless macro speedlights, adapter rings (52, 62, 67,72, and 77mm) and a set of gels and diffusers. 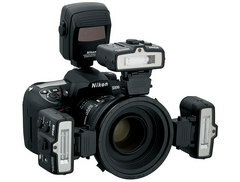 The R1 system is triggered by Nikon DSLR's with built-in iTTL commander speedlights, or a SB-800 in commander mode. The R1C1 system also has two wireless speedlights, but it includes a wireless commmander module (SU-800) that can be used on the camera's hotshoe to control up to three groups of speedlights, including SB-800 and SB-600 iTTL speedlights. 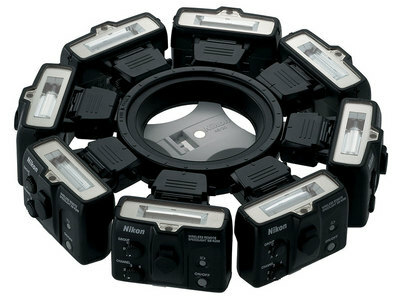 According to Nikon, all the components of this new wireless speedlight system will be sold individually as well, allowing photographers to connect up to EIGHT macro speedlights onto the ring adapter simultaneously. The R1C1 and the R1 systems greatly enhance the versatility of Nikon's Creative Lighting System, currently consisting of the SB-800 and SB-600 Speedlights. They offer photographers a myriad of choices and options in creating customized lighting solutions, ranging from a compact, portable lighting set-up for close-up photography to more elaborate lighting arrangements using several i-TTL enabled speedlights. Regardless of the complexity of the lighting arrangements, Nikon's i-TTL technology promises an astounding level of simplicity in achieving the desired lighting effects and accurate exposures. 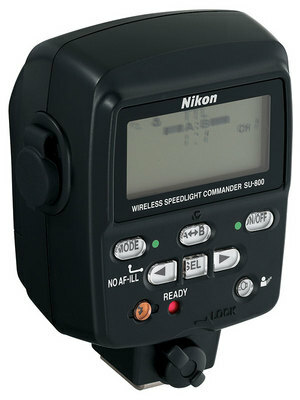 Photographers can shed all cords and cables and the need to calculate flash and distance ratios, because, when used with a compatible Nikon camera, i-TTL technology is capable of making all exposure calculations in real time, wirelessly, during the exposure to deliver consistently accurate flash exposures in virtually any situation. Packaged as complete systems, the R1C1 and the R1 Wireless Close-Up Speedlight Systems are designed to produce automated creative close-up lighting solutions without any clutter or hassle of connecting cables. The system outfits come in a sturdy and fitted system case that includes all the accessories and adapters a photographer may need to begin capturing beautifully illuminated pictures immediately. The R1C1 consists of two SB-R200 Wireless Remote Speedlights, the SU-800 Wireless Speedlight Commander, and an SX-1 Attachment Ring that is used to attach the two SB-R200s to the front of the lens. Additionally, the outfit contains a comprehensive assortment of accessories to help users master and enjoy close-up flash photography, including the SW-11 Extreme Close-Up Positioning Adapter, SJ-R200 Color Filter Set, SW-12 Set Diffuser, SW-C1 Flexible Arm Clip and a set of five adapter rings to ensure the SX-1 Attachment Ring can be mounted on virtually any Nikkor(TM) lenses designed for close range photography. For photographers who want to use an SB-800 or the built-in Speedlight of D200, D70s and D70 cameras as a commander, the R1 Wireless Close-Up Speedlight System, which comes without the SU-800, is ideal. the SB-800, SB-600 or new SB-R200 remote Speedlight units when mounted on Nikon SLR cameras that are compatible with Nikon's Creative Lighting System. These include the D2X, D2Hs, D2H, D200, D70s, D70 and D50(TM) digital SLR cameras, as well as the F6 35mm film SLR camera. The Nikon R1C1 and R1 Wireless Close-Up Speedlight Systems will be available in December 2005 for an estimated selling price of $680.00* and $430.00* respectively. The Nikon SU-800 Wireless Speedlight Commander and SB-R200 Wireless Remote Speedlights will also be available individually in December 2005 for an estimated selling price of $265.00* and $155.00* respectively. For more information about Nikon's Creative Lighting System and NikonÃ¢â‚¬â„¢s Speedlights, please visit www.nikonusa.com. 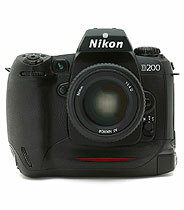 Note: The SB-R200 cannot be attached to the camera's accessory shoe. - When using the SU-800 with cameras not compatible with i-TTL flash control, only close-up flash operation (using cords) is possible in use with the optional SC-30 TTL Cord. Along with the much-awaited D200, many had glimpsed in a series of leaked information this past month, a new lens. Nikon now confirms that it's an 18-200mm VR zoom, equivalent to a 27-300mm with the 1.5x crop factor. Featuring a new VR Generation II system, the lens promises up to 4 stops of equivalent shutter speed! It also features the Active and Normal VR modes that was introduced with the 70-200/2.8 VR. MELVILLE, NY, NOVEMBER 1, 2005 Nikon Inc. (www.nikonusa.com) today introduced the new 18-200mm f/3.5-5.6G IF-ED AF-S DX VR Zoom-Nikkor lens, a compact, lightweight 11.1x zoom lens that is ideal for high performance everyday photography and incorporates advanced features such as Nikon's Extra Low Dispersion (ED) glass, Silent Wave Motor technology (SWM) and Enhanced Vibration Reduction (VR II), in a DX-Nikkor design engineered exclusively for use with Nikon DX format digital SLR cameras. With a remarkable 18-200mm focal length range (picture angle equivalent to a 27-300mm lens in 35mm format), the lens conveniently covers everything from wide landscapes to tight portraits and action photography. Advanced Nikon engineering has lent the lens a compact lightweight design that offers excellent handling characteristics and superb optical quality. "Nikon's range of DX Nikkor lenses, designed specifically for Nikon digital SLR cameras, has grown substantially since the introduction of the category, and the new 18-200mm f/3.5-5.6G IF-ED AF-S DX VR Zoom-Nikkor lens is an excellent addition offering Nikon digital SLR photographers an advanced all-purpose lens with superb optical performance and Enhanced Vibration Reduction capabilities," said Edward Fasano, general manager for Marketing, SLR Systems Products, at Nikon Inc. "Nikkor lenses are famous for their breathtaking sharpness, optimal contrast and consistent color rendition across its range of lenses with varying focal lengths. Now with the 18-200mm f/3.5-5.6G IF-ED AF-S DX VR Zoom-Nikkor, Nikon photographers will be able to take advantage of remarkable versatility in one lens with assurance of the outstanding Nikkor image performance that has made Nikkor lenses renowned worldwide." Beyond the lens' incredible optical versatility is the benefit of Enhanced VR II Vibration Reduction an innovation that makes it possible to take substantially sharper handheld pictures at slower shutter speeds than would otherwise be possible. This provides the distinct advantage of being able to shoot more effectively in a much broader variety of challenging conditions. With the new Nikon VR II advantage, users can take pictures at shutter speeds as many as 4 stops slower* than they ordinarily could shoot without the image degrading blur associated with camera shake at slow shutter speeds. Nikon's VR technology further enhances picture taking potential with a choice of two modes to match most shooting conditions. VR Normal Mode primarily compensates for camera shake, and includes automatic panning detection, as well as automatic tripod detection. VR Active Mode effectively compensates for vibration in situations where it is more pronounced and more frequent, such as when shooting from a moving vehicle. To further ensure outstanding optical performance, the 18-200mm f/3.5-5.6G IF-ED AF-S DX VR Zoom-Nikkor features two Extra-Low Dispersion (ED) glass elements and three complex aspherical lens elements that provide for higher resolution, high-contrast images while minimizing chromatic aberration, astigmatism and other forms of distortion. 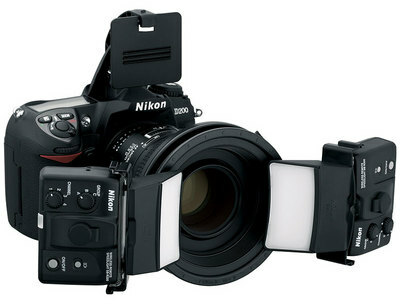 The lens also features Nikon's compact Silent Wave Motor technology (SWM), which combines fast and precise autofocusing with super-quiet operation, as well as Internal Focusing (IF) construction that allows the lens to focus without changing its external size, improving balance and handling chrematistics. ranging from the amazing 10.5mm f/2.8G ED AF DX Fisheye to the astounding 600mm f/4D ED-IF AF-S II super Telephoto. 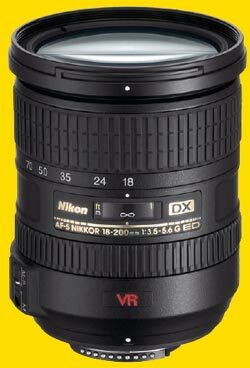 The 18-200mm f/3.5-5.6G IF-ED AF-S DX VR Zoom-Nikkor lens will be available beginning in December 2005 for an estimated selling price of $699.95**. For more information about Nikon and the Nikkor brand of optics, please visit www.nikonusa.com. Nikon, At the Heart of the Image(TM). Nikon Inc. is the world leader in digital imaging, precision optics and photo imaging technology and is globally recognized for setting new standards in product design and performance for its award-winning consumer and professional photographic equipment. Nikon Inc. distributes the Nikon Total Imaging System of consumer and professional digital SLR cameras, Nikkor optics, Speedlights and System Accessories; Nikon Coolpix(R) compact digital cameras; Coolscan(R) digital film scanners; 35mm film SLR cameras; Nikon software products and Nikon sports and recreational optics. At the heart of every Nikon camera is Nikon's Exclusive Feature System, making it easy for anyone to take amazing digital pictures. Through the Nikon Spirit Initiative(TM), the company, plays an active role in supporting aspiring and advanced photographers through a variety of philanthropic organizations, educational programs, events and workshops. For more information, dial (800) NIKON-US or visit www.nikonusa.com, which links all levels of photographers to the web's most comprehensive photo learning and sharing communities. **Estimated selling prices listed are only an estimate. Actual prices are set by dealers and are subject to change at any time. Nikon has finally revealed the long-awaited successor to it's popular D100 camera. The existence of the D200 had been long suspected, and this month's series of leaks gave everyone glimpses of what was to come. Along with the much awaited 10.2 MP camera, Nikon has also announced a new 18-200mm VR zoom lens and new macro and wireless commander flash systems. The new camera will retail for USD1699 and will be available in late December. As always, Nikonians was one of the first sites to host a dedicated D200 forum earlier this year. Now that the specifications are revealed, be sure to come and join the discussions! * Newly developed 10.2 effective megapixel Nikon DX Format CCD image sensor with the power to capture exceptional edge-to-edge sharpness and faithful color at 3,872 x 2,592 pixels size. Incorporates high-speed 4-channel data output that contributes to 5fps continuous shooting performance and employs a newly developed Optical Low Pass Filter that helps prevent moire, color fringing and shifting while improving resolving power. * Incorporates the industry-leading advanced imaging processing engine of the D2x, which allows color-independent pre-conditioning prior to A/D conversion to work in symphony with advanced digital image processing algorithms to achieve fine color gradations with exceptionally smooth, consistent transitions. * Newly developed 11-area AF system packs the same number of focus areas available for the professional D2 series into a space-efficient system, with the photographer able to select individual focus areas from 11-area wide and 7 wide-area AF for Single Area AF, Dynamic AF that delivers precise Continuous servo AF mode operation for moving subjects, Closest Subject Priority Dynamic AF and also Group Dynamic AF. All such AF options are supported by refined lens-controlling algorithms that realize improved focus precision, better subject acquisition capability, keener subject tracking ability and overall improved system response. * Nikon's exclusive 3D Color Matrix Metering II (AE, as used in the D2x, delivers optimized exposure through the use of new technology developed for the Nikon 1,005-pixel RGB exposure/Color Matrix Metering Sensor. Evaluating brightness, color, contrast, selected focus area and camera-to-subject distance, this system references all such data against an expanded onboard database that has been created using data from more than 30,000 actual photographic scenes to instantly and accurately calculate the final value with high-level dependability during both automatic and manual operation. Also offers variable size center-weighted metering which concentrates 75% of sensitivity within the center-weighted circle, as well as spot metering supporting each individual sensor of both the 7 wide-area AF and 11-area AF groups. * New image optimization modes enable photographers to produce results more closely matching the intended results, with a range of choice comprising optimization of sharpening, tone (contrast), color, saturation, and hue, with choices from Normal, Softer, Vivid, More vivid, Portrait, Custom and Black-and-white optimization. * Fast continuous shooting performance at 5 frames per second enables the shooting of up to 37 JPEG (Fine-Large) images or up to 22 NEF (RAW) images, with shutter speeds ranging from 1/8,000 of a second to 30 seconds. * Near instant power-up of 0.15 seconds lets photographers respond to sudden opportunities. * A mere 50-millisecond shutter time lag promotes fast handling, while 105-millisecond viewfinder blackout realizes assured control that's especially useful during continuous shooting. * Multiple exposure enables up to 10 separate images to be used to create a single composite to produce imaginative and even surreal results. * Image overlay function creates a composite image in-camera from two selected NEF (RAW) images. The original files remain unaltered, opacity can be precisely controlled and the resultant image can be saved in either RAW, JPEG or TIFF format. * Connection to a GPS (Global Positioning System) unit via an optionally available GPS Adapter Cord MC-35 enables the recording of data including latitude, longitude, elevation and UTC (Coordinated Universal Time) along with conventional shooting data for each image. * A large 2.5-inch LCD monitor with a 170 degree viewing angle from every direction assists accurate assessment of sharpness by enabling image preview with up to 400% magnification. It also offers RGB information as a single display or separate histograms for each color channel to enable better exposure-related decision-making. * The large top LCD panel makes it easy to read a wealth of data at a glance, such as shooting mode, battery condition, card information, gridline display, shutter speed, F stop and number of remaining shots. * A new color-coded menu display features a color scheme that promotes easy viewing as well as the use of intuitive keywords that assist speedy navigation. There's also a Recent Settings list that displays the last 14 settings selected from shooting and Custom menus and playback options include single frame, 4- or 9-image thumbnail display, zoom with scroll, histogram indication and highlight point display. * A chassis and body crafted from magnesium alloy gives the D200 lightweight resilience, while an enhanced sealing system helps protect each and every exterior seam from potentially damaging dust and moisture. * A double-bladed shutter unit tested to well over 100,000 cycles ensures highly reliable, highly durable performance. 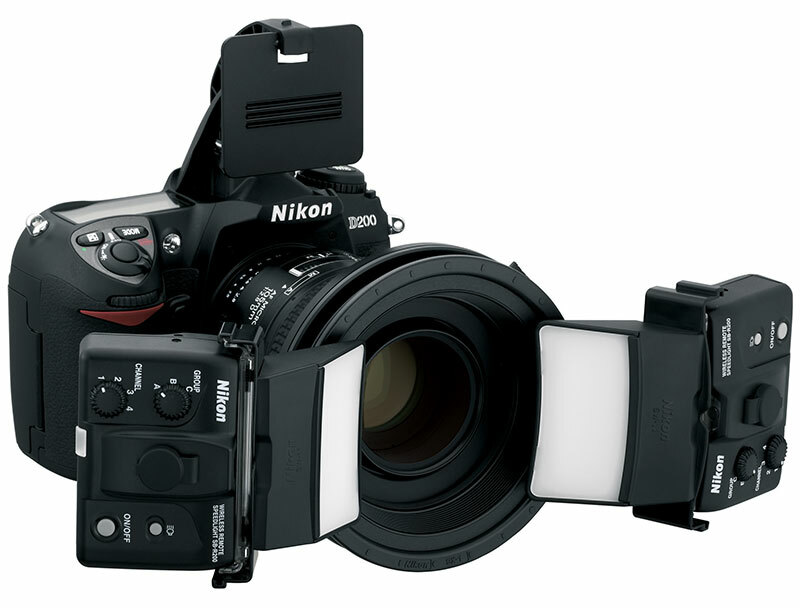 The shutter unit also employs a refined mirror balance mechanism that allows the mirror to complete its motion cycle and reach a complete stop with virtually no image degrading mirror bounce, providing the extended viewfinder visibility essential for fast, accurate focus tracking and continuous shooting. * The newly developed high-energy EN-EL3e rechargeable lithium-ion battery combines with the D200's highly efficient power management system to deliver enough power to support the shooting of up to 1,800 images on a single charge and can be recharged at any time. Important to photographers is the real-time Fuel Gauge system display that shows remaining charge by percentage, number of shots since last charge and overall battery status. * The optionally available MB-D200 battery pack adds extended shooting capability with an ergonomic design. Able to run on either one or two EN-EL3e batteries or, six AA-size batteries* it also features an additional command dial and alternative buttons for shutter release and AF start that make for more comfortable vertical shooting. * Compatible AA-size batteries comprise alkaline, NiMH, lithium and nickel-manganese batteries. * The Wireless Transmitter WT-3* adds all the convenience of IEEE802.11b/g capability, enabling cable-free image transfer to a compatible printer while also supporting wide-ranging network and security protocols for added assurance. * Available only in countries that approve the use of thirteen frequency channels. * Compatible with Nikon's digital-exclusive DX Nikkor lenses as well as Nikon's 35mm/digital compatible AF Nikkor System. * Compatibility with the Nikon Creative Lighting System allows the D200 to work seamlessly with SB-800, SB-600 and SB-R200 Speedlights to deliver the benefits of i-TTL flash control's advanced monitor pre-flash, accurate measurement for bounce and versatile wireless operation. 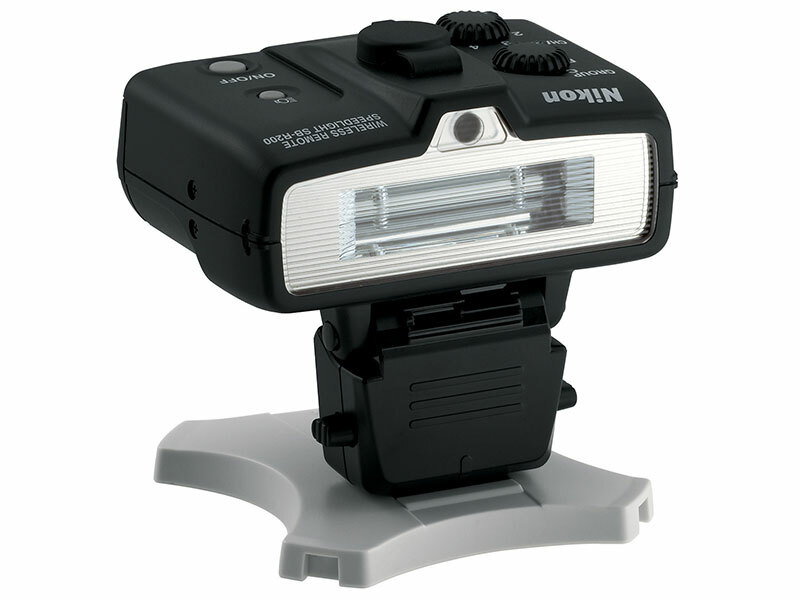 SB-600 and SB-800 Speedlights also offer a Wide-Area AF-assist Illuminator specially tailored to the D200's 11-area Multi-CAM 1000 AF Sensor Module. * Nikon Capture 4 (Ver. 4.4) unlocks the extensive potential of NEF (Nikon Electronic Format). 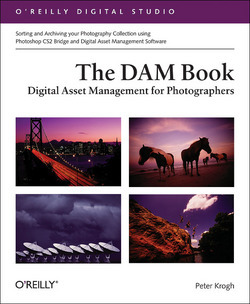 Not only does it make smoother fidelity for tonal and other color corrections possible, but it also empowers photographers to reprocess images at any time and save the results to the original NEF file as a new Instruction Set, or as a TIFF or JPEG file, while retaining the integrity of the original data at all times. * PictureProject Ver. 1.6 (complimentary with camera) empowers the photographer with tools that help expand the enjoyment of photography. These include tools for Organizing the images to promote effective viewing, Automatic and manual options for image editing, Design selections that help make multi-image album and presentation pages, and tools to help photographers share images with others through CD/DVD burning, slide shows, muvee presentations, fast and effective e-mailing and access to Nikon's PictureProject In-touch. In addition to helping anyone enjoy their pictures, PictureProject also provides the means to make sure that the computer's hard drive won't turn into an "electronic shoe box" full of pictures, instead they can be kept as neatly ordered as the user like! Microtek USA, a world-leading manufacturer of digital imaging products, is shipping the ScanMaker i800, a high-resolution scanner that combines professional features, versatility, power and convenience at a great price. "Our customers have told us that they want technology that lets them tackle whatever scanning tasks come along," says Michael Ford, product manager at Microtek. "The ScanMaker i800 brings together all of the professional scanning features that users have come to expect--with an affordable price tag of $399.99." The unit can handle multiple film sizes including 24 frames of 35mm filmstrips , 12 mounted 35mm slides, two 4" x 5" transparencies, and medium format up to 6 x 17 cm panoramic. The scanner, which features 4800 x 9600 dpi optical resolution, allows users to create poster-size images from photos and film. The ScanMaker i800 also features a large 8.5" x 14" reflective scanning area to accommodate legal-size documents and batch scanning of photos or film. even automatically crops the frames to further simplify scanning. software removes creases, dust and scratches from faded photographs and film. Microtek's ColorRescue automatically restores faded color. Only Microtek offers users a choice of either automatic or manual photo print reconstruction of damaged photographs. The manual mode, available exclusively on Microtek's scanners, allows users to choose different levels of Digital ICE adjustments to repair damage in isolated areas of a picture. OCR text-scanning accurately or create a PDF, and e-mail images. indexed color. It features NegaMatch for negative film optimization and lets you select individual film brands, types and ISO settings to accurately reproduce color for dozens of the most popular negative film profiles. ScanWizard Pro also allows the user to create custom negative film profiles. ScanWizard 5 scanning software. It features a friendly, simple control panel for straightforward scanning and offers settings that automatically determine the size of a photo or document, adjust color, brightness and contrast for optimum results. With ScanWizard 5, the ScanMaker i800's Smart Touch buttons make scanning easy and convenient. the automatic mode is appropriate for most applications, the Advanced Mode allows the user to access more sophisticated features and filters. power cord and has a one-year limited warranty. of its products, visit the company's Web site at www.microtekusa.com. Founded in 1980, Microtek International, Inc. is headquartered in Science-based Industry Park, Hsinchu, Taiwan. The company has a strong global presence, with major operations and distribution channels in 53 countries around the world. Microtek Lab, Inc., the North American subsidiary of Microtek International, Inc., is located at 16941 Keegan Avenue, Carson, CA 90746. Information about Microtek can be found at www.microtek.com. CARSON, CA, Microtek announced the availability of the 3,200-dpi ScanMaker 1000XL Pro, the highest-resolution tabloid-size flatbed scanner for photo and film scanning on the market today. Designed for professional applications, the ScanMaker 1000XL is ideal for production environments in corporations, advertising agencies, photographic studios and labs, publishing houses, medical laboratories for X-ray imaging, and service bureaus. This large-format scanner is now available in two models-- the ScanMaker 1000XL Pro with Transparent Media Adapter (TMA 1000XL) for dual reflective and transparency scanning, and the ScanMaker 1000XL for reflective media scanning only. Both models feature Kodak DIGITAL ICE Photo Print Technology for automatically restoring damaged photos. Ã¢â‚¬Å“Both models of the ScanMaker 1000XL offer a host of high-end features and quality at a price point that is unmatched for scanners in its class,Ã¢â‚¬Â said Sam Samimi, vice-president of sales and marketing. The ScanMaker 1000 XL Pro with the TMA 1000XL, scans film and transparencies up to 12" x 16Ã¢â‚¬Â. Various film templates are included with the TMA package to accommodate batch scanning of 35mm slides, 35mm filmstrips, 4Ã¢â‚¬Â x 5Ã¢â‚¬Â film, and medium format 120 film (6x4.5 cm, 6x6 cm, 6x7 cm, and 6x9 cm). Microtek pioneered a TMA design with a separate moving light source, and the TMA 1000XL continues this quality tradition,Ã¢â‚¬Â said Mary Ann Whitlock, executive director of marketing. A separate moving light source in the TMA provides uniform exposure for accurate color reproduction and shadow detail. The ScanMaker 1000XL Pro and the ScanMaker 1000XL allow scanning of reflective material such as photos and prints up to 12" x 17Ã¢â‚¬Â. Ã¢â‚¬Â¢ Multiple sampling, in user-selectable frequencies of 2, 4, 8, and 16 steps. Multiple sampling reduces random image noise and minimizes signal fluctuation, yielding purer image output that greatly enhances the optical density range. The ScanMaker 1000XL Pro also includes SilverFastÃ‚Â® Ai 6. Additional software for the ScanMaker 1000XL include AdobeÃ‚Â® PhotoshopÃ‚Â® Elements 3.0; ABBYYÃ‚Â® FineReaderÃ‚Â® Sprint OCR; and KodakÃ‚Â® Digital Science color management system. LANShareÃ¢â€žÂ¢, a Microtek utility embedded in ScanWizardÃ¢â€žÂ¢ Pro for scanner-sharing on a network, is also included for PCs. And for accurate color, the Microtek Scanner ICC Profiler is part of the software package. The ScanMaker 1000XL is compatible with iMac or Power Mac G3/G4/G5 systems running Mac OS 9.x through OS X 10.2~10.4. For PC-compatible systems, the ScanMaker 1000XL supports Pentium III PC systems running Windows 98SE, Me, 2000, and XP. A FireWire cable, USB cable, and power cord are included in the scanner package. The ScanMaker 1000XL is priced at $2,299.99 SRP and the Pro version with the Transparent Media Adapter is $2,799.99 SRP. When purchased as an option, the TMA 1000XL is $599.99. The ScanMaker 1000XL and the ScanMaker 1000XL Pro are available through MicrotekÃ¢â‚¬â„¢s distributor network including Ingram Micro and Tech Data, as well as B&H Photo, Calumet, SamyÃ¢â‚¬â„¢s Camera, VARs, integrators, mail order catalogs and online through Microtek at www.store.microtek.com.